Mactan–Cebu International Airport (Cebuano: Tugpahanang Pangkalibutan sa Mactan–Sugbo, Filipino: Paliparang Pandaigdig ng Mactan–Cebu) (IATA: CEB, ICAO: RPVM) located in Central Visayas region, is the second busiest international airport in the Philippines that serves Cebu City and its metropolitan area as well as the Central Visayas. It is located in Lapu-Lapu City on Mactan Island, a part of Metro Cebu. The airport is managed by the Mactan–Cebu International Airport Authority. It is the world’s first resort airport. It covers an area of 797 hectares (1,970 acres). It has a single 3,300-meter (10,800 ft) runway that was built by the United States in 1956 as an emergency airport for Strategic Air Command bombers and was known as the Mactan Air Base. The runway is complemented by a full-length taxiway that it shares with the current Mactan Air Base of the Philippine Air Force. The runway was built by the United States Air Force in 1956 as an emergency airport for Strategic Air Command bombers and it was known as the Mactan Air Base. It remained a spartan outpost until the Vietnam War in the 1960s when it became a base for a C-130 unit of the U.S. Air Force. In the mid-1960s, the civilian airport was opened, to replace the Lahug Airport (now the site of Cebu IT Park), which could no longer be expanded due to safety and physical problems. The airport was later expanded to the current Mactan–Cebu International Airport (MCIA). On August 20, 2008, the Mactan–Cebu International Airport Authority (MCIAA) announced that about 300 million Philippine pesos will be spent for the terminal expansion program to address the increasing volume of passenger traffic. MCIAA former general manager Danilo Augusto Francia said the program also includes the establishment of a second passenger terminal in the Mactan–Cebu International Airport. In 2009, former general manager Francia announced for the public bidding for the construction of the new generation terminal to service only international flights. In 2010, the newly elected Philippine President, Benigno Aquino III selected Nigel Paul Villarete as the new General Manager of the Mactan–Cebu International Airport (MCIA) and Chief Executive Officer (CEO) of MCIAA. Mr. Villarete prioritized the completion of the terminal expansion and the completion of the unfinished administration building. Following Typhoon Haiyan (Yolanda), one of the biggest typhoons ever recorded and one of the most destructive typhoons in the Philippines, the airport was used as a center for air operations for the relief effort. 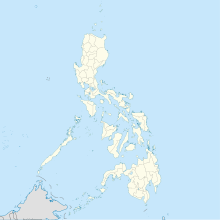 The airport is centrally located in the Visayas which was the region most affected by the storm, especially the Eastern Visayas islands of Leyte and Samar. The Cebu airport was relatively unaffected by the storm while the airports of the Eastern Visayas were unusable immediately after. On November 12, 2013, the world's longest and heaviest aircraft, the Antonov An-225 Mriya, landed at MCIA from the Zagreb International Airport in Croatia for the first time in the Philippines to deliver a 180-ton replacement transformer from the Croatian energy company KONČAR to the First Gen Corporation's power plant in Batangas City. Officials of First Gen approached MCIAA General Manager Nigel Paul Villarete to allow the Antonov An-225 to utilize the airport for the transportation of their delivery after officials from Clark International Airport, the Ninoy Aquino International Airport in Manila, and Subic Bay International Airport refused to allow the aircraft to utilize their airports. According to First Gen President Francis Giles Puno, MCIA had been inspected by Antonov Airlines, the owner of the Antonov An-225 aircraft, as the most viable option for their aircraft, "after considering the combination of airport, onward land transport and sea freight." On April 23, 2014, the Department of Transportation and Communications awarded the operations and maintenance of MCIA to a consortium of the Philippine Megawide Construction Corporation and Bangalore-based GMR Infrastructure. The consortium won with a bid of ₱17.5 billion. MCIAA handed over the operations and maintenance of the airport to the private consortium on November 1, 2014. In the first half of 2016, MCIA and GMCAC started the rehabilitation, renovation and expansion of Terminal 1 as Phase 1 of the project. The new terminal building was designed by Integrated Design Associates Ltd. (IDA) On January 25, 2018, GMR–Megawide Cebu Airport Corporation (GMCAC) chief executive advisor Andrew Acquaah-Harrison announced that the new terminal building would be the MCIA Terminal 2 will start operations on July 1, 2018 and cater to international flights. On June 7, 2018, Terminal 2 was inaugurated by President Rodrigo Duterte. On August 27, 2018, which is also National Heroes Day in the Philippines, President Duterte expressed support for renaming the airport after Mactan chieftain Lapu-Lapu whose forces killed Ferdinand Magellan during the Battle of Mactan in 1521. On 22 May 2017, Mactan–Cebu International Airport Authority (MCIAA) passed a resolution approving the proposal to start the construction of a second runway, which was proposed by Rep. Raul Del Mar of Cebu. Del Mar proposed that the construction of the second runway be funded using P4.9- billion sourced from the P14.4 billion premium given by the GMCAC when it won the bid to develop and manage the MCIA terminal. Once completed, the second runway will be adjacent to the existing first runway and will enable simultaneous runway operations. Terminal 1, which was built in 1990, serves as the airport's domestic terminal. Prior to the completion and opening of Terminal 2, it housed both domestic and international operations and has an annual capacity of 4.5 million passengers. By the end of 2017, it served more than 10 million passengers. The terminal has six boarding bridges and also has remote parking spaces for aircraft. Terminal 2, which started construction in 2016 and opened for operations on July 1, 2018, is the newest airport terminal and has increased the capacity of the airport to 12.5 million passengers per year. It currently handles all international flights. The design of the terminal has timber arches that look like an inverted boat hull, and a wave-like roof that evokes a tropical and resort-like feel. It represents the sea waves that surrounds the island of Cebu. The new terminal building has five boarding bridges, two of which are expandable, thus making a total of seven boarding bridges. The airport flies to 25 domestic destinations and 22 international ones. ^Note 1 : Emirates flights continue on to Clark. However, the airline does not have eighth freedom traffic rights to transport passengers solely from Cebu to Clark. ^Note 2 : This flight makes an intermediate stop between Cebu and the listed destination. However, it has no rights to transport passengers solely between Cebu and the intermediate stop. Terminal 1's departure waiting area. Data from Mactan-Cebu International Airport Authority (MCIAA). ^ Department of Transportation - Mactan-Cebu International Airport Authority. "Passengers 2017". Mactan-Cebu International Airport Authority. Retrieved February 11, 2018. ^ Hoontrakul, P. (2014). The Global Rise of Asian Transformation: Trends and Developments in Economic Growth Dynamics. New York: Palgrave Macmillan. ^ a b c "Mactan–Benito Ebuen Air Base". Globalsecurity.org. Retrieved July 22, 2013. ^ Alegado, Sieg (November 12, 2013). "World's biggest plane to deliver 140-ton power generator to PHL". GMA News Online. GMA Network Inc. Retrieved December 21, 2015. ^ Sollane, Jose (November 13, 2013). "World's biggest airplane in Cebu". The Freeman. PhilStar Daily, Inc. Retrieved December 21, 2015. ^ Agcaoili, Lawrence (April 23, 2014). "Megawide-GMR remits P16.1-B payment for Cebu airport project". Philstar.com. ^ Bunachita, Jose Santino (January 25, 2018). "New Mactan Cebu Airport terminal seen to open ahead of schedule". Philippine Daily Inquirer. Retrieved February 27, 2018. ^ Lopez, Virgil (June 7, 2018). "Duterte inaugurates new 'resort-like' Mactan Cebu airport terminal". GMA News. Retrieved June 7, 2018. ^ "Duterte inaugurates new 'resort-like' Mactan Cebu airport terminal". GMA News Online. Retrieved June 7, 2018. ^ Bunachita, Jose Santino. "Duterte leads inauguration of new Mactan airport passenger terminal". Retrieved June 7, 2018. ^ Adel, Rosette (August 27, 2018). "Duterte favors renaming Mactan airport in Cebu after Lapu-Lapu". The Philippine STAR. Retrieved August 28, 2018. ^ Fernandez, Rona Joyce T. (May 21, 2017). "2nd runway project a 'go'". ^ "Megawide to open Mactan-Cebu airport Terminal 2 in June". BusinessMirror. Retrieved July 4, 2018. ^ "Xiamen Airlines plans Chengdu – Cebu service from April 2019". routesonline. Retrieved March 18, 2019. ^ "GRAPHS – Mactan – Cebu International Airport Authority". Retrieved January 12, 2019. Wikimedia Commons has media related to Mactan-Cebu International Airport. Airport information for RPVM at World Aero Data. Data current as of October 2006.Source: DAFIF. Airport information for CEB / RPVM at Great Circle Mapper. Source: DAFIF (effective October 2006). Airports in italics have not yet been opened, are under construction, or are in the planning stages. This page was last edited on 15 April 2019, at 14:38 (UTC).